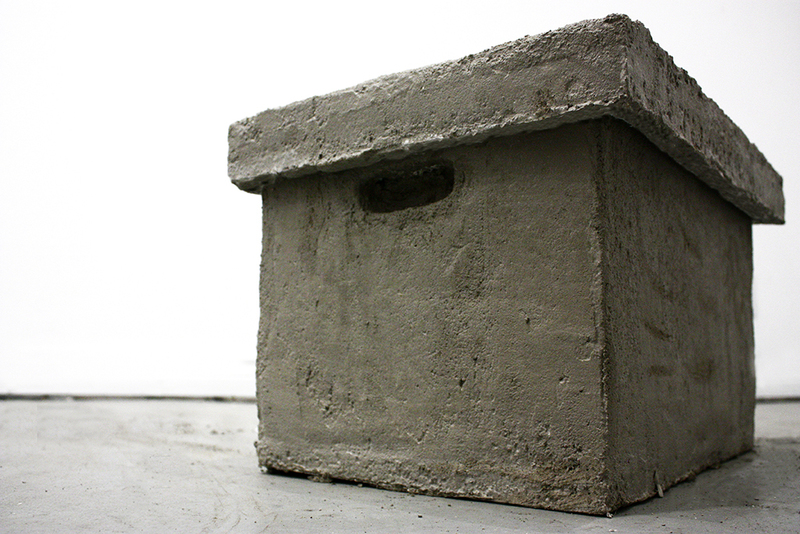 In case you were wondering what all the cement boxes, wooden flags, and the humidifier filing cabinet were for, we have an exhibition called Archival Tendencies (Lossy Practices) coming up at Modern Fuel Artist-Run Centre in Kingston, Ontario. The exhibition opens October 19th, with an opening reception for Archival Tendencies and All You Ever Wanted by Christine Dewancker at 7pm. It features all new installation work based on concepts surrounding archival practices. If you’re nearby or are looking for something to do in the Kingston area, please come out and check out the exhibition. Through a series of installations, sculptural works, and participatory projects, Archival Tendencies (Lossy Practices) will demonstrate the ways in which we might reconsider our approach to the spaces, infrastructures, and bureaucracies around us. The exhibition examines the ways in which we document, share, and collectively remember these spaces within the frame of the archival practices, and use of follies as creative intervention. The works aim to explore the expressions of power through official and unofficial archival practices, and play with a range of archival tendencies and lossy practices. The exhibition will argue for a renewed effort and set of tactics to both earnestly “keep track of” and intentionally “lose sight of” a range of artifacts and ideas that are normally discarded, pushed aside, or otherwise forgotten.